Mawa’s Taste of America… now in Ouakam! Mawa’s Taste of America restaurant is back! And it is now located in Ouakam/Mamelles, across from the Supermarché Mon Prix which is down at the roundabout at the entrance of the Monument de la Renaissance. Look for a big orange building on the left. They are currently serving dinner on Monday thru Saturday starting at 5pm, brunch on weekends from 10am to 3pm and starting February 20th will add a lunch service from noon to 3pm. Based on what I’ve had from their menu, I can highly recommend the fried chicken, cole slaw, Cajun pinto beans and rice (yum! ), wings of every variety, steak fried steak and eggs, chicken & waffle, shrimp & grits, sausage gravy and biscuit (where I’m from in Georgia, ‘biscuit’ is both the singular and plural form) and I’ve heard the chicken and dumplings are better than your mom’s. And watch a clip from CNN on Mawa’s restaurant here! 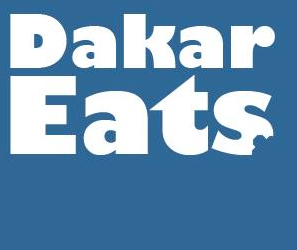 Previous CLOSED: Get Freekeh in Dakar! Khady thank you so much for this information about Mawa’s restaurant.